In April 2001, Hafiz joined Coca-Cola UNITED as Corporate Controller and Assistant Treasurer. He was appointed to Vice President and Chief Financial Officer in April 2002. Assuming increasing executive responsibilities, in February 2014 Hafiz was appointed to Senior Vice President, Chief Financial Officer and Assistant Corporate Secretary. Over the past five years, Hafiz has served in a key leadership role in developing and executing our transactional strategy for our franchise acquisitions throughout the southeast. On April 1, 2018, Hafiz was named Executive Vice President and Chief Administrative Officer, along with retaining his CFO responsibilities for Coca-Cola Bottling Company UNITED. 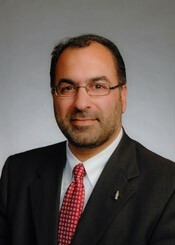 Hafiz began his career in 1994 at Arthur Andersen LLP where he held several positions, including Audit Manager. In 1999, he joined Birmingham Fastener & Supply as Chief Financial Officer. Hafiz holds leadership positions on several Coca-Cola System boards and committees, including the board of directors of Western Container Corporation and Coca-Cola Bottler Sales & Services. In addition, he is involved with numerous business and civic organizations, such as Mayer Electric Supply’s Advisory Board and the National Multiple Sclerosis Society Board. He is a past Chairman of the National Multiple Sclerosis Society/Alabama-Mississippi Chapter and past board member of Easter Seals for the Birmingham area. Hafiz also serves on several boards at the University of Alabama at Birmingham (UAB), including the Collat School of Business Advisory Board, the UAB Blazer Athletics Advisory Board, and the UAB National Alumni Society Board. In 2007, Hafiz was awarded the Outstanding Alumnus Award by the UAB Collat School of Business. Hafiz holds a Bachelor of Science in Accounting from the University of Alabama at Birmingham and is a CPA in the State of Alabama. During his spare time, Hafiz can be found racing at Barber Motorsports Park, cheering on the Crimson Tide, and mountain biking at Oak Mountain State Park. Hafiz has two children, Amaan and Aneesa. He and his wife, Orooj, reside in Vestavia, AL.